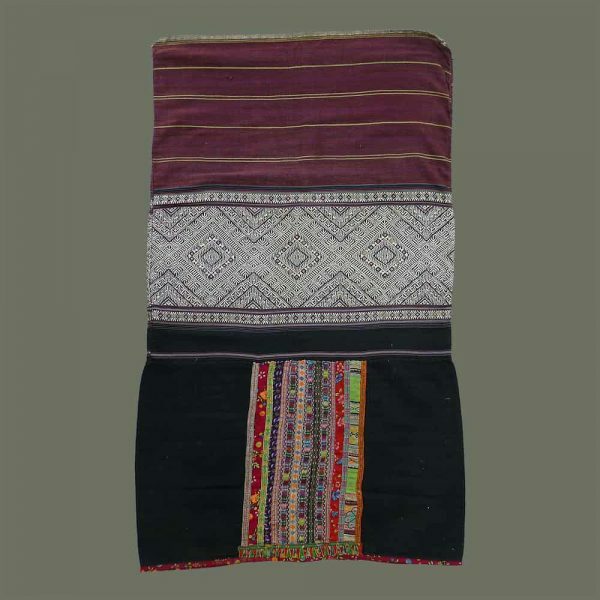 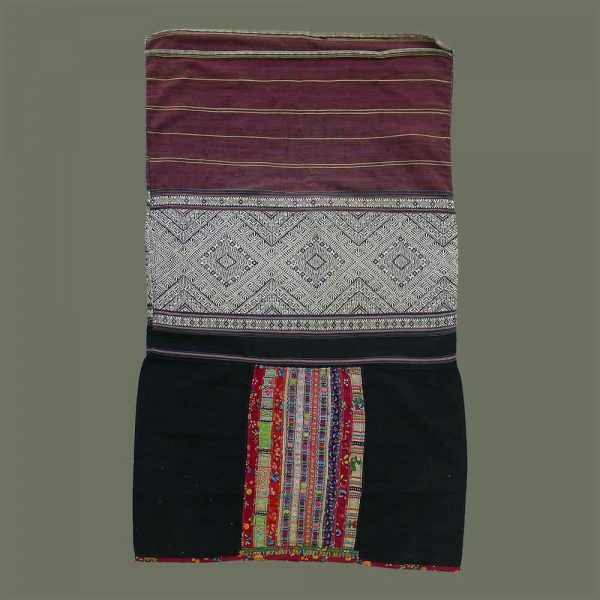 This skirt features an attractive concentric diamond pattern woven in white silk supplementary weft, with added accents of dark purple, blue and red. 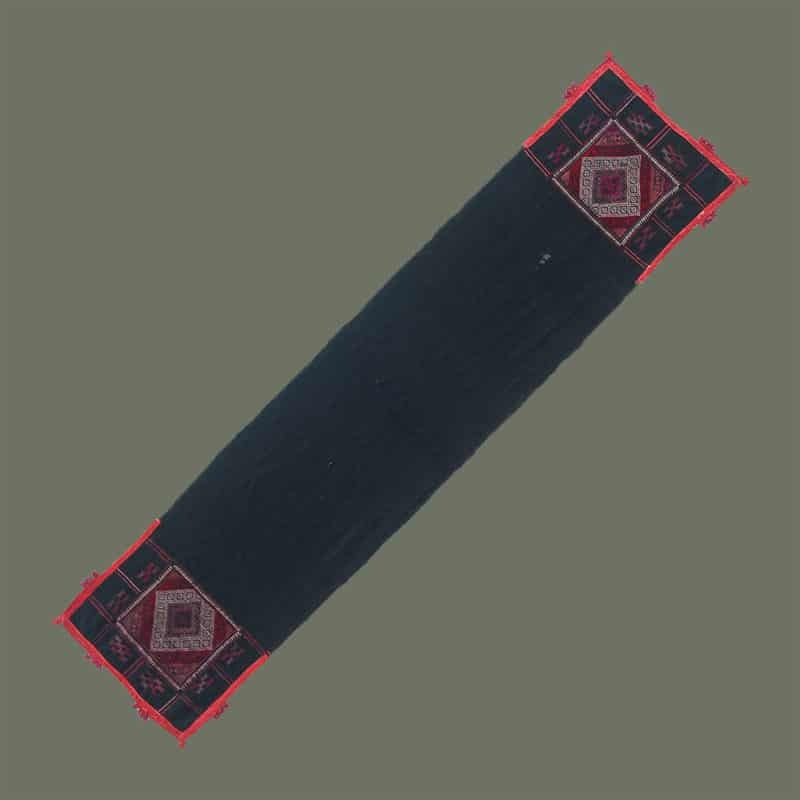 Plum-colored cotton with stripes flanks this decorative band. 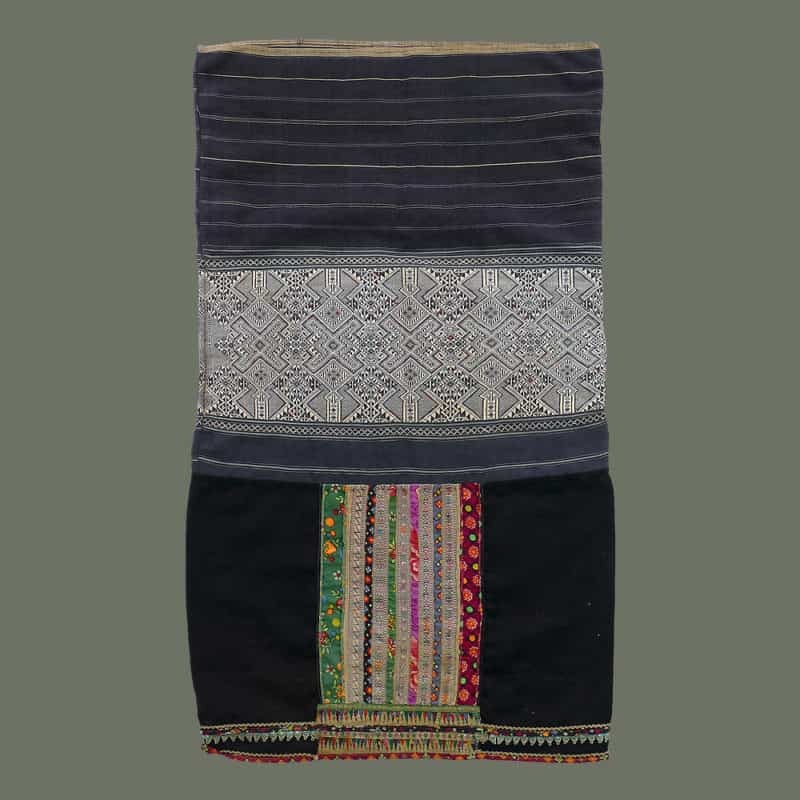 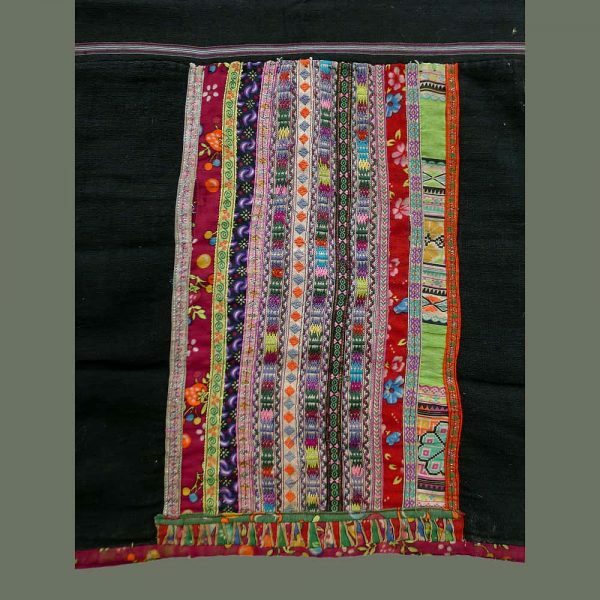 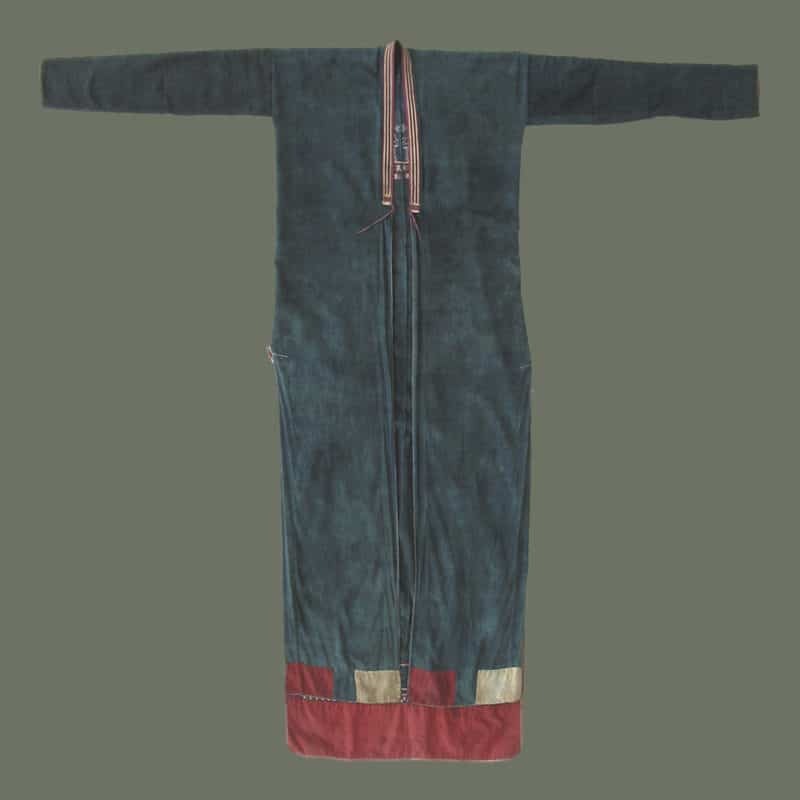 The lower panel is dark indigo handspun cotton with decorative panels, front and back, that include vertical strips of trade cloth sewn onto a piece of brocaded cotton. 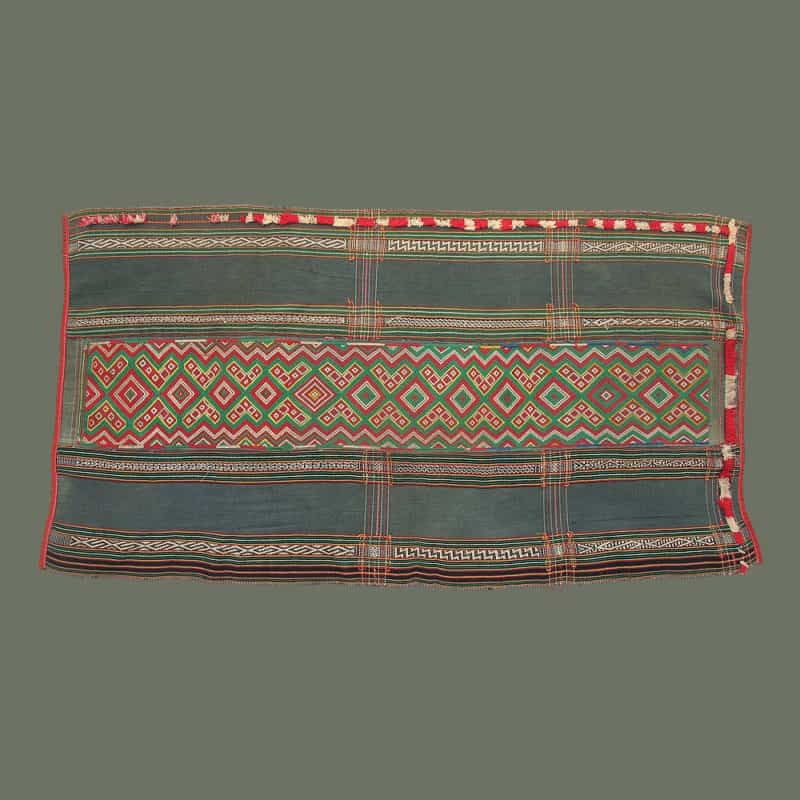 The lower edge of this panel has an embellishment of tradecloth folded into a triangular pattern. 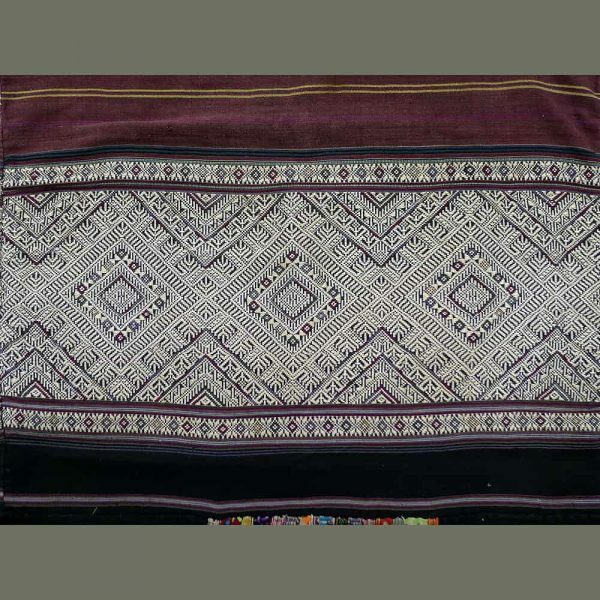 Additional tradecloth trims the lower edge. Condition is very good for one of these older skirts.